SF/F author Matt Hughes talks to a Vancouver Island writing group about writing scenes in genre fiction. The Scriptorium’s own Zero to One columnist, Chuck Heintzelman, reads his story “The Train Bandits” in the inaugural episode of a new fiction and writing podcast, The Quillian Chronicles. Great commuter listening, so check it out! 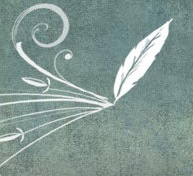 The Writers’ Union of Canada is pleased to announce that submissions are being accepted until November 3, 2011 for the 19th Annual Short Prose Competition for Developing Writers. The winning entry will be the best Canadian work of up to 2,500 words in the English language, fiction or non-fiction, written by an unpublished author. Humber Summer Writing workshop teachers include Julia Glass, National Book Award winner in the USA, and Alistair MacLeod, Dublin IMPAC Award Winner, and many other notable writers and excellent teachers. Come for some jet fuel for the literary mind! \”All You Can Eat: Reading, Writing, and Publishing with the New Creative Content,\” will have a special focus on the changing habits of readers and the emerging forms of creative expression. The day will start with a stimulating keynote from award-winning writer and Time journalist Lev Grossman and end with a panel discussion featuring writers, publishers, and digital specialists. Attend practical workshops on \”The New Manuscript\” or \”EPub 3: The New Standard\”, listen to the fascinating research of our Reading Panel, and learn from the informative sessions on Transmedia, Book Apps and Gaming. 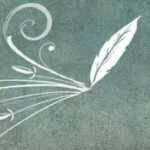 All You Can Eat, Book Summit 2011, will explore all the issues, trends and theories of creative writing. After many, many years with only minor facelifts, The Scriptorium has undergone a total redesign and makeover. There’s still some work to do as we continue to bring content over from the old site, but most of it is here now. We’re also quite certain there’s a lot of dust still settling out (broken links, etc.) but we’ve worked hard to try and have everything spiffy before we went live. So if you find a problem–please let us know about it in the comments! It’ll get fixed the fastest if you point it out to us! So look around, test it out, and enjoy! We’re glad to be back. The Scriptorium is currently seeking a section editor to look after our Young Writer’s department, Scriptorium Scribbles. The position would require about an hour’s work each month. This is a volunteer position. We’re also looking for articles suitable for this department. This is a popular section of our webzine and a great way to promote your website, books or resources to the next generation of writers. Submissions and inquiries may be made by leaving a comment (click the post title “Call for Section…” to get to a comment box, or email sherry (at) thescriptorium.net).